As I’ve mentioned before, I looooooove spring on the Canadian prairies. 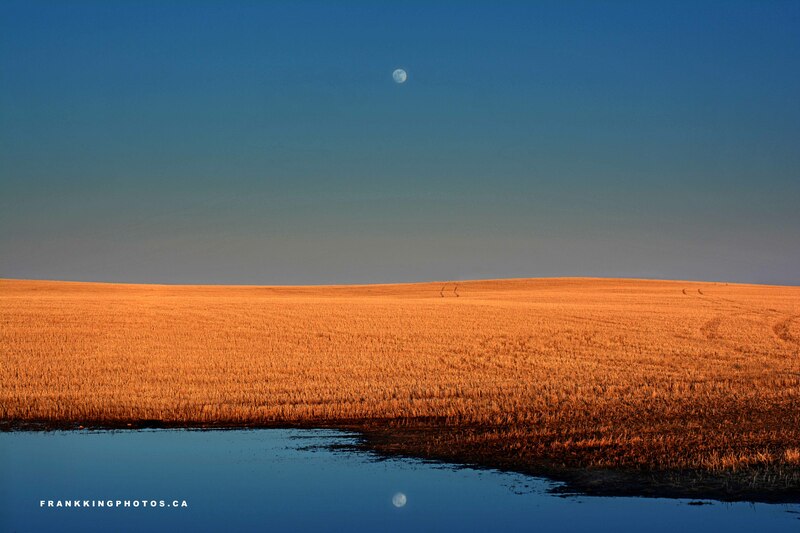 On this wonderful evening, I lucked into a rising moon and a dead-still spring pond in the midst of golden fields about 45 minutes’ drive from my home in Calgary. Nikon D7100, tripod, polarizing filter.